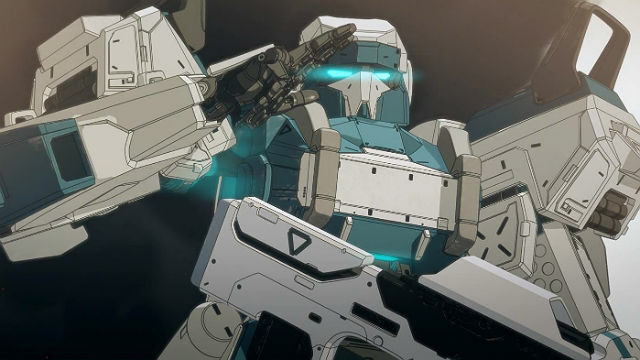 Rooster Teeth’s newest and most ambitious animated series, gen:LOCK, has premiered, and we’ll be recapping each episode. 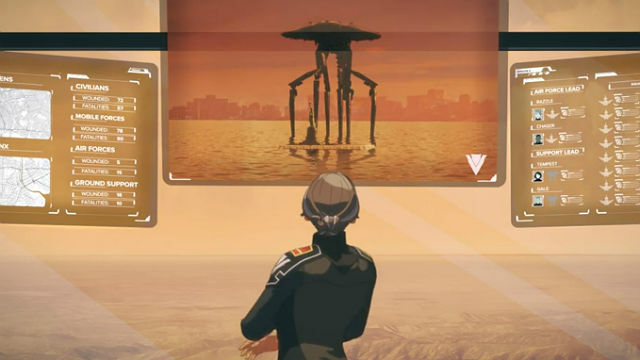 In 2068 New York City, gen:LOCK season 1 episode 1 followed members of the Vanguard as the Union made its move. Julian Chase introduced his mother, Roberta, and his sister, Drianna, to his girlfriend, Miranda Worth. Roberta told an embarrassing story about Julian as a kid while Dri played a singing game in front of the TV. Julian and Miranda weren’t actually there, only virtually, as they were part of the Vanguard and were stationed at the Anvil. After they left, Roberta turned her attention to the news. The Union had attacked during a speech from the leader of The Polity. Back with Julian and Miranda, alarms sounded, and they headed into position. Miranda climbed into her walking tank, and Julian took off in his “interceptor” jet. They headed to New York. When the interceptors arrived, a swarm of drones attacked. On the ground, it was chaos as people tried to escape the Union. The Union had weaponized nanotech that flew in swarms that looked like smoke. Vanguard soldiers and civilians dropped dead as the nanotech clouds overtook them. Above, Julian, and fellow pilot Razzle worked to divide and conquer against the Union jets. Julian and Razzle came upon a giant, long-limbed, walking weapon that knocked over the Statue of Liberty with ease. Razzle charged an ESD to disable the nanotech, but the giant walker could detect when it was charging and immediately blew her up. Col. Marin ordered Julian to evacuate, but he still had his ESD. He told Miranda, who was in her tank on the ground, to look for his family while he bought them time. He charged and launched his ESD, but when he tried to eject, it failed. Julian crashed as the ESD dissipated the nanotech. Miranda got out, but Julian’s signal was lost. Julian’s name and picture hung on a memorial wall at the Anvil. Miranda welcomed Dr. Rufus Weller, Yasamin “Yaz” Madrani, and Caliban, a robot, from the ESU, the Experimental Science Unit. Dr. Weller asked Miranda how her battalion has been doing, and she admitted they could only hold the line at the border, known as the 88th. The Union had taken over the east coast and some of the Midwest. Col. Marin briefed them on Operation Coyote where they would help bring a group of refugees close to the 88th across. Unfortunately, the Vanguard attacked as the group of refugees signaled them. Miranda heard Julian’s voice as a mech dropped down in front of her and took out the Union tanks. Another mech with Yaz’s voice arrived to assist. Back at the Anvil, Miranda demanded to know who were in the mechs. Col. Marin welcomed the ESU to the Vanguard, and to everyone’s shock, Julian appeared in front of the battalion. What did you think about gen:LOCK season 1 episode 1? Let us know in the comment section below! 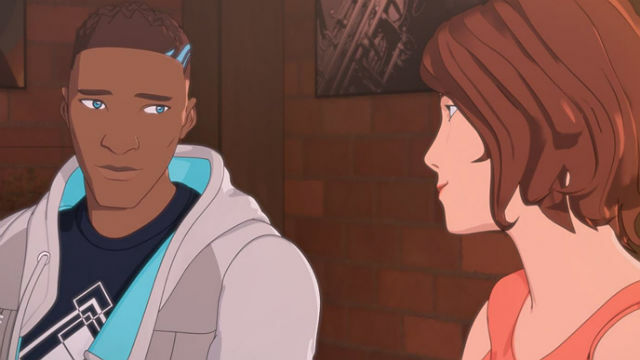 The post gen:LOCK Season 1 Episode 1 Recap appeared first on ComingSoon.net.